The movie will take over three years to shoot and be made in two parts. Scripting history on celluloid, the Mohanlal-starrer 'Randamoozham', will be made with a whopping budget of Rs 1,000 crore. The movie, directed by V A Shrikumar Menon, will go on the floor in October, 2018. 'Randamoozham', which will be titled 'Mahabharatha'--based on the book by M T Vasudevan Nair' in other languages, will be financed by BR Shetty, a UAE-based entrepreneur and founder of forex dealer UAE Exchange India. Director Shrikumar Menon said: "'Randamoozham' will undoubtedly be a visual wonder. It is going to be the biggest movie ever made in India. Mahabharatha is an epic and it demands an epic treatment. We cannot afford to compromise on any aspect of its making, including the technical side. The producer has assured us that budget will not be a constraint," says the director. He added that the details of the movie will be released at an official launch in May. 'Randamoozham' will see many Oscar-winning talents working together. "We are negotiating with the best talents in the world. We aim to make a global film. Many technicians in Hollywood have already expressed their interest. They are all aware of the Mahabharata. An announcement will be made soon regarding the crew," says the director. According to Shrikumar, since Mahabharatham is already a popular epic, the movie should have the visual brilliance to hook its viewers. "The challenge lies in creating a visual fiesta that will satisfy and excite the viewers," he adds. Legendary writer M T Vasudevan Nair has already scripted the final version. "The movie has been in the pipeline for over two years. When I approached MT sir, he gave me a full-bound script. We had over three sessions since then and he has taken my suggestions and ideas. I consider it a blessing to be listening to his narration," Shrikumar added. Shrikumar said the movie will take over three years to shoot. It will be made in two parts. The first part will hit the screens in 2020. The second part will be released 90 days later. "We will shoot the movie in English, Hindi, Malayalam, Kannada, Telugu and Tamil. It will be dubbed into all the prominent world languages," he said. The work will begin after Shrikumar's directorial debut 'Odiyan', which also stars Mohanlal. 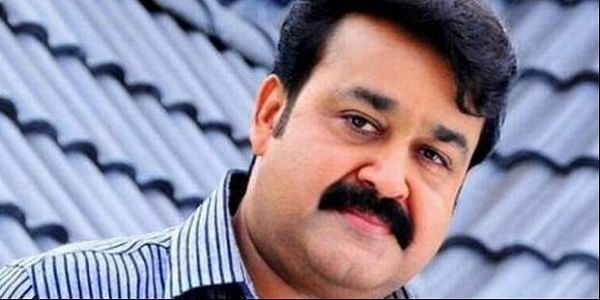 According to the director, Mohanlal will play Bheeman in 'Randamoozham'. "For the role, the actor will have to undergo a lot of physical and mental training. The character he plays undergoes various emotional turmoil and Lal is the one actor who can convey it to perfection," he adds. The rest of the cast, including Amitabh Bachchan, hasn't been finalised. The team has entrusted an international casting company for the task. "However, the project will see the participation of many Indian and international stars," says Shrikumar. "I feel honoured that my name has been mentioned for the role of Bheeman. I feel humbled that the author himself has envisioned me for enacting Bheeman. "A film based on Randamoozham, if it has to do justice to the epic Mahabharata, has to be created in epic dimensions to reach a global audience. And that is where I salute a visionary businessman like BR Shetty for agreeing to come forward and invest Rs 1000 crore in this project. The commencement of the project is also the result of the relentless pursuit of Shrikumar Menon who has been working to make this a reality for a long time. Mahabharata is an epic of all epics. The movie will be a true 'Make in India' made for the world. I believe that this film will not only set global benchmarks, but also reposition India in mythological storytelling. I am awestruck by the fantastic screenplay by M T Vasudevan Nair and have faith in the ability of Shrikumar.